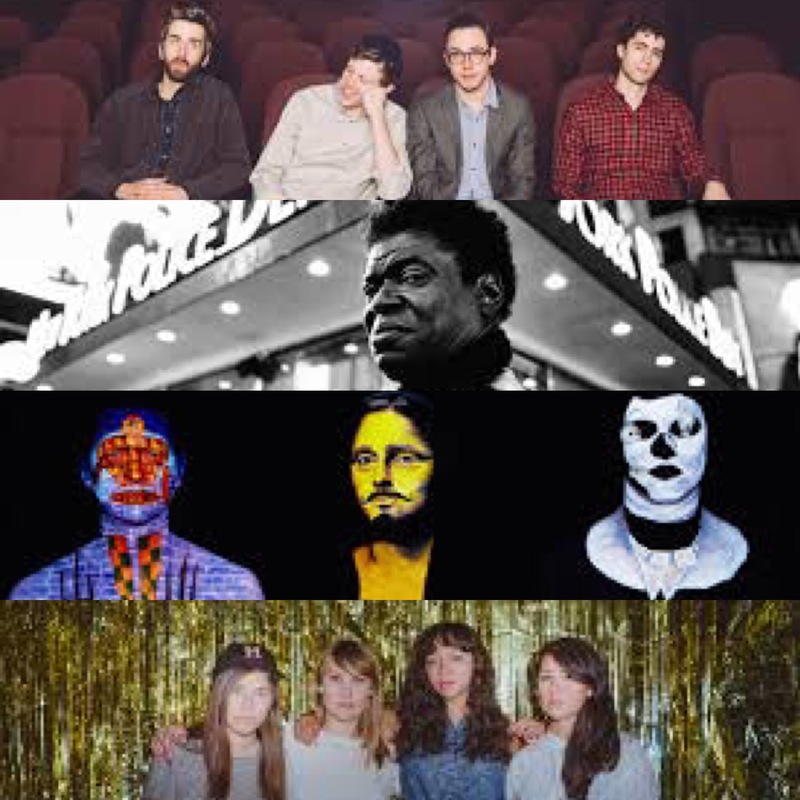 This week's best picks: Charles Bradley, Animal Collectie, La Luz. I’ll spare you the retelling of the legend of Charles Bradley, as I’m sure most of you are familiar with the 67-year old’s impressive but tumultuous rise to his current status as a festival stage mainstay and modern soul superstar. Infamous for rollicking live performances and a voice that lays waste to any and all pretensions, it’s no wonder that his show here sold out pretty quickly. Luckily, for anyone not getting in the door at Exit/In, he was recently added to the Bonnaroo lineup as a fitting replacement for Mavis Staples, who chose to hit the road opening for Bob Dylan instead. In an example of against-type booking, local scuzz rockers Thelma and The Sleaze (who play shows almost as often as Mr. Bradley) open the evening. Sold out. Venue choice and underwhelming new record aside, Animal Collective is one of the unassailable “can’t miss” acts whenever they hit the circuit. Known for melodic unpredictability and haphazard experimentation in the live setting, the band has recently been employing a cover of Martha & The Vandellas’ “Jimmy Mack” and reincorporating one of the fanbase’s favorite deep cuts, the 12-minute “Alvin Row.” Just don’t expect them to play “My Girls”, and for the love of God, do not heckle them to play “My Girls”, either. Ambient synth wizard Kaitlyn Aurelia Smith made one of my favorite records this year so far (it’s much better than the newest Animal Collective record), and she’ll open the night, given the steep task of trying to play louder than the crowd at Marathon. Also this one’s still on sale, so get to it. $25 until $27. The last time that I saw La Luz was at the sadly now-defunct Stone Fox, on the tail end of last summer. Now, if you know anything about La Luz’s music, you know that it is tailormade for this specific season. Catch them kicking off the summer at The High Watt on Saturday with buzzing local grunge outfit Idle Bloom, and Massenger. $15.